While it’s impossible to highlight every exhibitor that blew us away, here were a few of our favorites from Day 2. Wow! 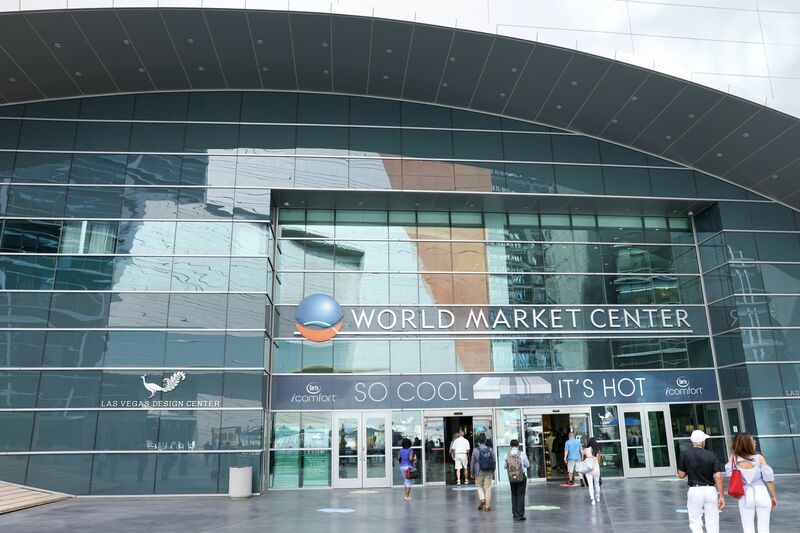 Things are lively, to say the least, here at “Market.” Over the past 48 hours, the team here at House Tipster has been busy meeting with designers and brand managers who represent hundreds and thousands of products here at the World Market Center in Las Vegas. Without a doubt, the Summer 2017 Las Vegas Market is living up to its reputation as the largest and most comprehensive furniture, home decor, and gift wholesale market west of the Mississippi. So far, our favorite part of this amazing event is getting to know so many people passionate about the products they’re selling. Plus, we’ve been lucky enough to get to go behind the scenes, so to speak, and interview a number of influential designers in the industry to bring the latest news on emerging residential and commercial decorations straight to you. While it’s almost impossible to highlight every exhibitor that blew us away, here were a few of our favorites from Day 2. Talking at-length with Jason Phillips, VP at Phillips Collection, was quite the experience. 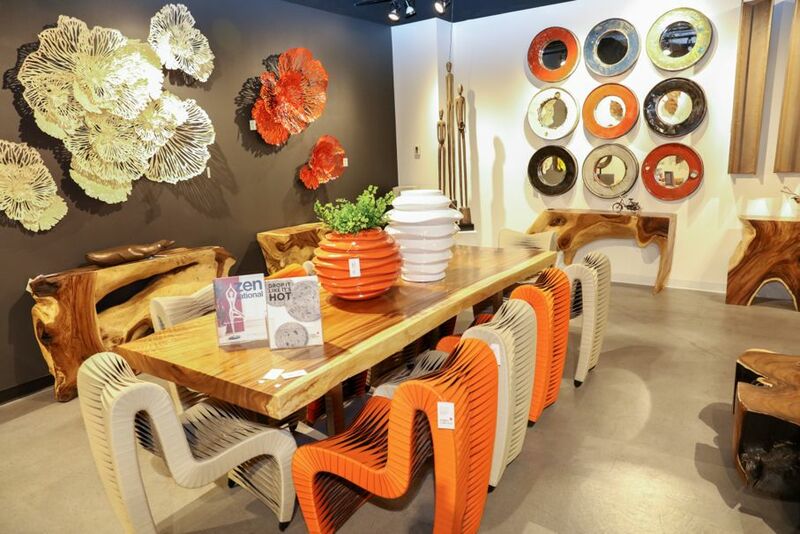 As the son of Phillips Collection founders Larry and Sherry, Jason has used his skills and expertise in industrial design to incorporate more natural designs and the use of traditional furniture-building skills. Today, Jason works with a team of artists and designers in-house to create products sustainably, such as their extensive lines of coffee tables all the way down to simple vases and bowls. One of their most popular designs, the Seat Belt Chair, is sold exclusively by Phillips Collection. It’s comfortable and totally trendy! 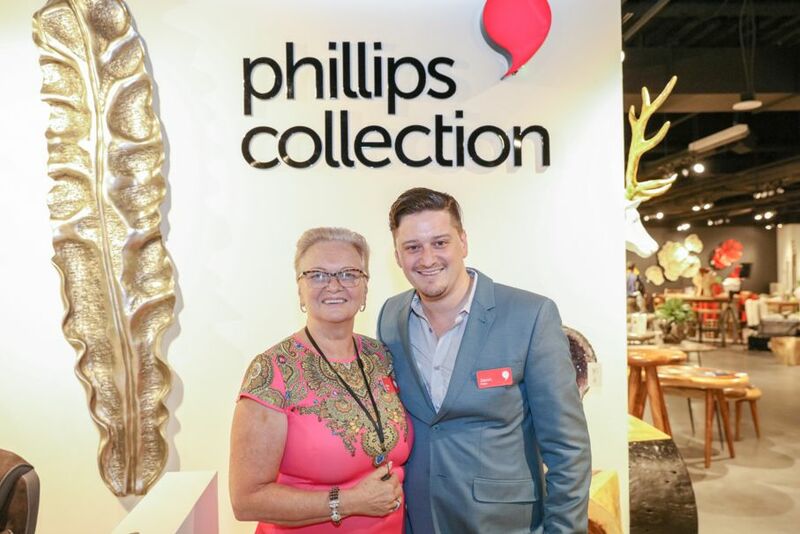 Like other exhibitors at Market, Phillips Collection maintains a permanent booth here in the World Market Center Las Vegas. If you’re ever in Vegas, check them out. Otherwise, find a rep using this link. 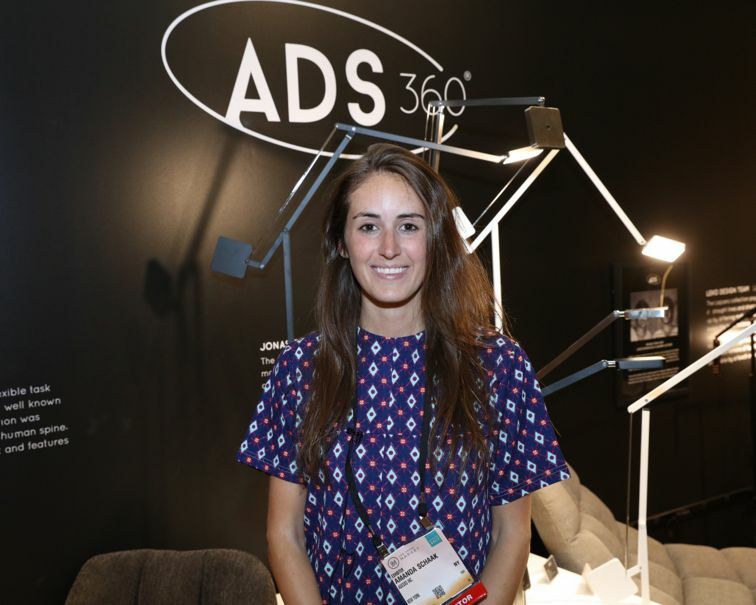 We thoroughly enjoyed speaking with Adesso’s product development manager, Amanda Schaak. Adesso, a New York-based company, sells a variety of lighting accents and furniture that’s ready to assemble and remarkably affordable. It was easy to be drawn into their booth here at Market. 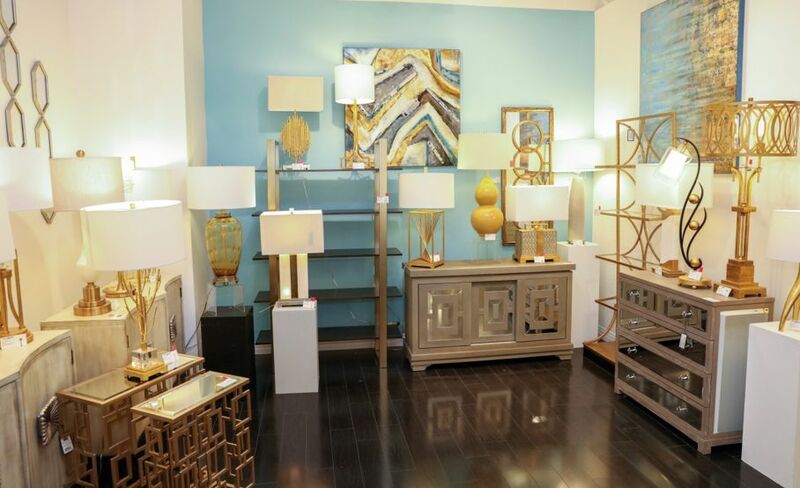 In fact, we immediately fell in love with their pendants and floor lamps. Their use of paper, copper, and natural fibers like burlap creates a very relaxed vibe perfect for beach and country homes. But then again, many of Adesso’s products have a contemporary feel as well. Basically, just about anyone can find something perfect for them from Adesso. To shop Adesso, check out their website and then head to many major retailers, from Target to Bloomingdales. 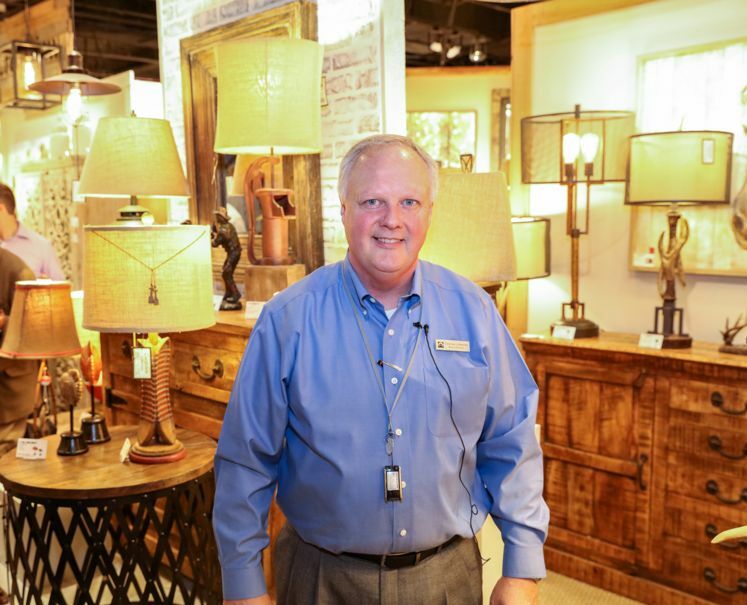 Although we only had the pleasure of viewing a handful of Cal Lighting’s gigantic 5,000-plus product inventory, we appreciated the company's focus on the consumer. 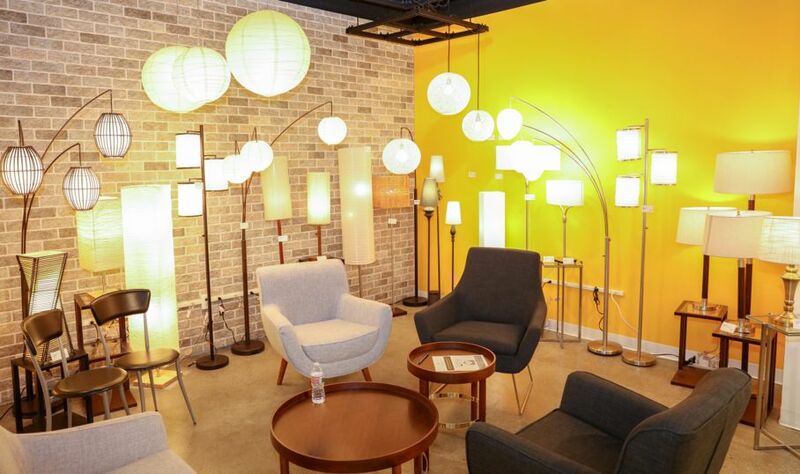 All their offerings are reasonably priced and very functional, including one of our favorite lighting products to date: a floor lamp complete with a ratchet system similar to a beach chair! 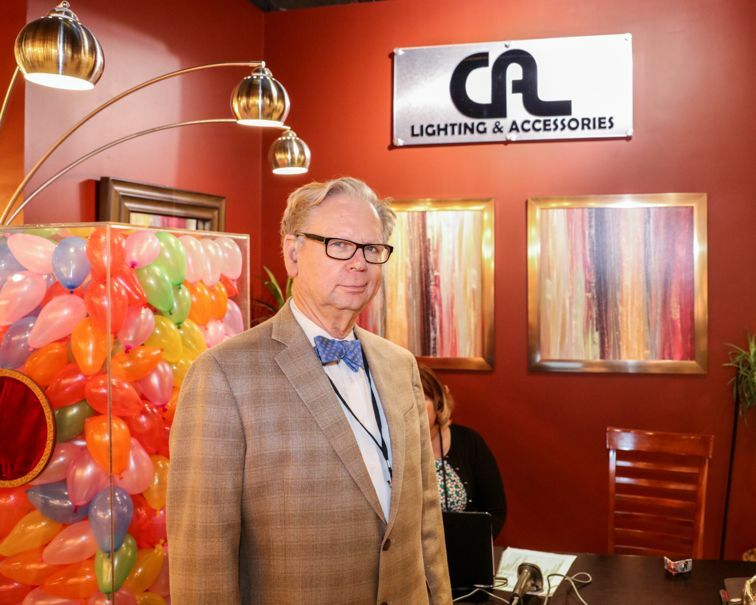 According to Robert Cooper, our Cal Lighting contact, their products are available at a number of stores, in addition to three permanent showrooms located in Las Vegas, High Point, and Dallas. Currently, Cal Lighting & Accessories is working on incorporating LED and USB ports into their products. So stay tuned, there’s a lot in the works with this exciting company. 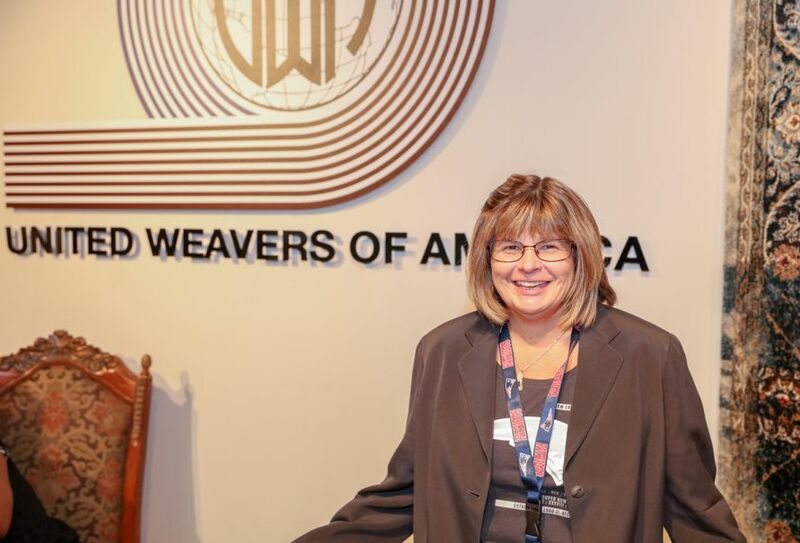 After beginning their company in Garfield, New Jersey, the owners of United Weavers of America relocated to Dalton, Georgia 20 years ago. 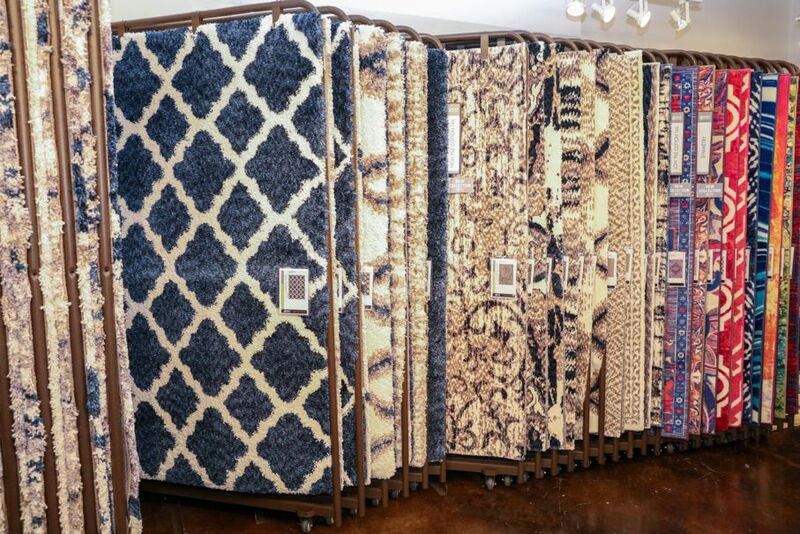 Today, United Weavers of America offers a large line of rug collections, from the solid Aria line to the vivid designs of China Garden. 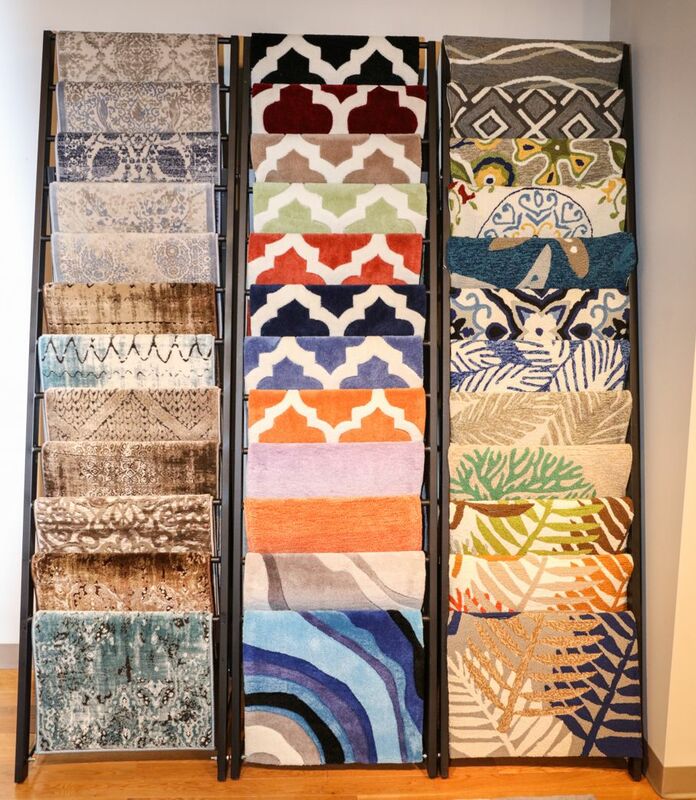 This season, the company is introducing a 12-by-15-foot rug called 12 Oaks. It’s made of 100% polyester with a solid cotton backing and can ship in a standard box, a great solution for retailers looking to save on shipping costs. Check out their collections here. Vita Copenhagen is a Danish design company offering a great selection of nature-inspired lighting designs. 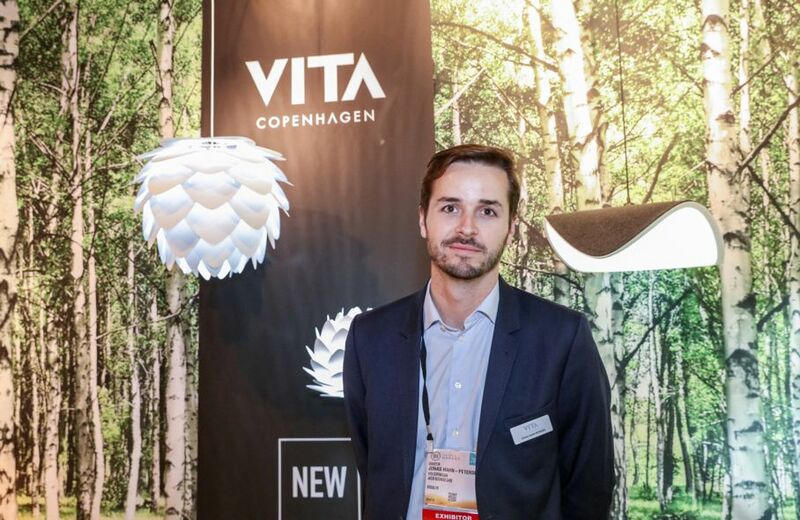 Jonas Hahn-Petersen, US sales director, told us all about how Vita Copenhagen is using natural shapes and materials, giving consumers a quality product. 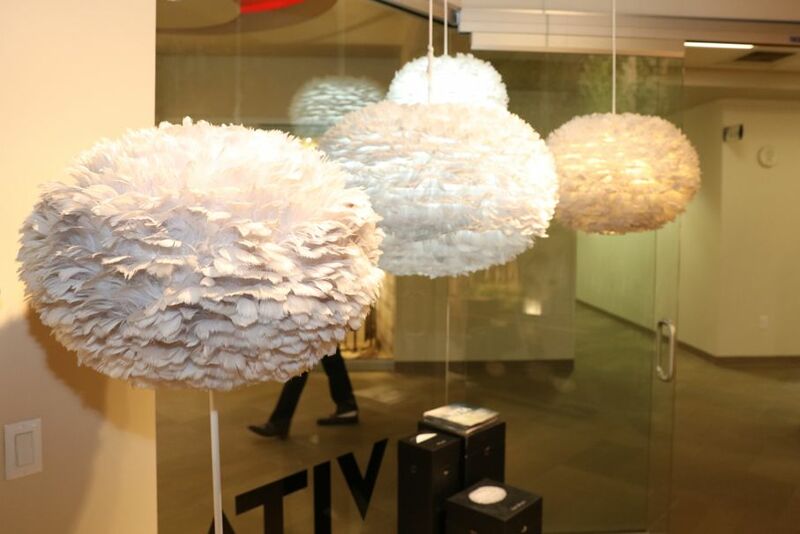 If you’re into using recycled materials, look no further than Vita Copenhagen’s lampshades made with recycled goosefeathers. These feathers are actually repurposed from the food industry and then hand-sewn into the lampshade fibers. The result is definitely a talking point for any room! 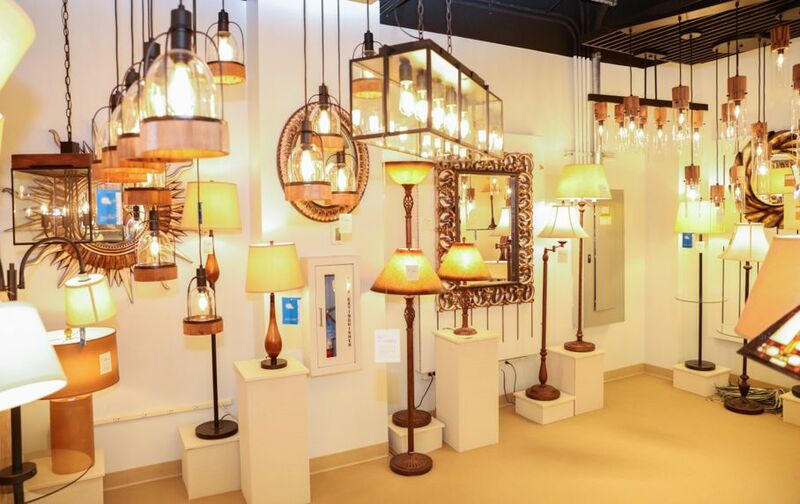 In addition, almost any of their lampshades mix and match with their wiring component products, meaning every lamp is completely personalized, all the way down to the light bulb! Bryan Williams, the executive vice president of Crestview Collection, a home decor company based in Memphis, Tenn., spoke extensively and with a ton of passion about his company and overall trends in the decoration industry. Here at Market, Bryan and his team are introducing a number of new designs in their accent furniture and lighting categories. Bryan says that all decor themes are really taking off, including coastal and lodge-inspired designs. To accommodate consumer demand, Crestview Collection has ramped up its production of large-scale wall decor, lighting with embellishments, and the use of natural materials like glass. As you can see from its online catalog, Crestview Collection touches on a bit of every design category in its collections. We love the mix of contemporary to traditional and everything in-between. Salt Lake City-based manufacturer Adagio Water Features designs and manufactures top-notch, hand-crafted water features. 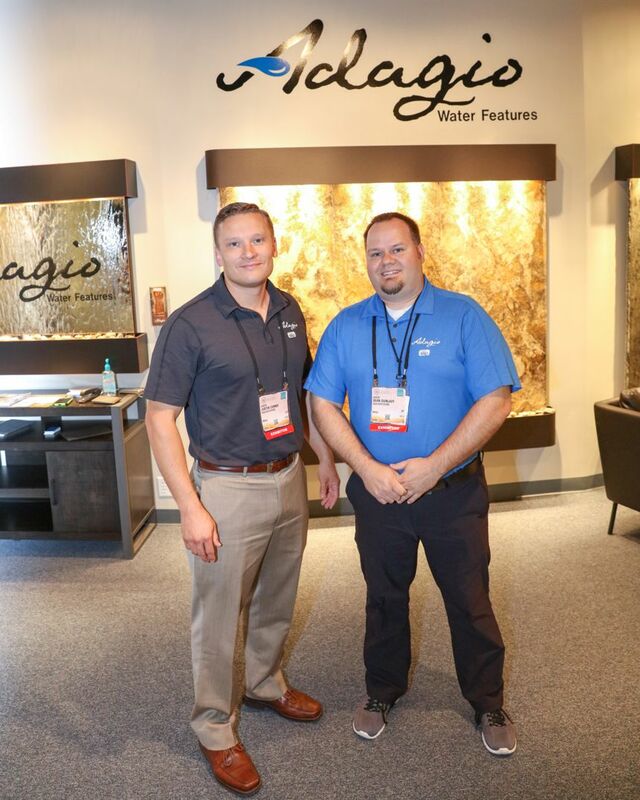 Per Sean Dunleavy, account manager at Adagio, this Salt Lake City company is focused first and foremost on quality, which is why every product is made of high-end materials with a number of customizable options suitable for any home or business. Adagio offers both indoor and outdoor freestanding and wall-mounted water features. 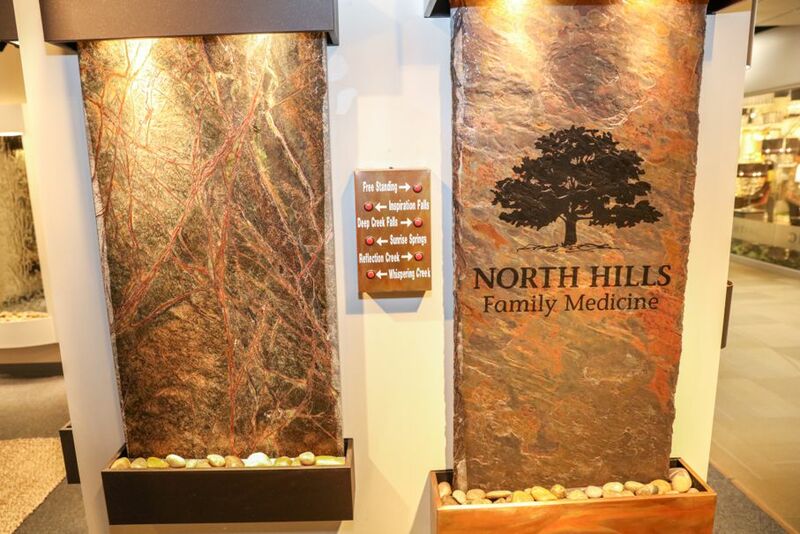 Once you choose the size of your feature, you can then customize it with particular finishes including metal or stone. Our entire House Tipster team appreciated how personalized each water feature can be. When we first walked by Adagio’s exhibit, we immediately felt relaxed by the sound of running water. If you’re interested in creating a sanctuary in your own home, find a dealer near you. 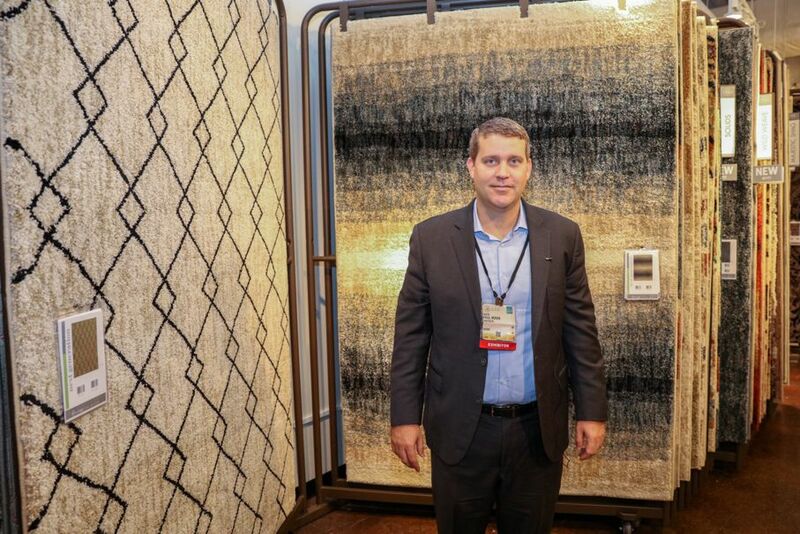 Paul Mixon of Orian Rugs showed us one of his flagship products “Wild Weave,” which uses multiple color technology to create a vibrant effect. It’s a new process for Orian Rugs. In fact, it’s only been over the past year that they began using polypropylene-based dye to introduce as many as 20 colors into each fiber. According to Paul, this is a “next generation” technology that’s completely taking the rug and carpet world by storm. We agree, it’s awesome! Here’s a list of retailers currently selling Orian Rugs. In addition to these amazing products and brands, we spoke with a number of other representatives, including Nova, High Plains Art, Yosemite, BeautyRest, and Tufan Rugs. We’ll bring you more on these manufacturers later this week!